Recent research shows that about 4 trillion dollars of goods were abandoned in carts during 2015 by e-commerce users. What’s interesting is that more than the 60% of these carts can be perfectly recovered and transformed into purchases. 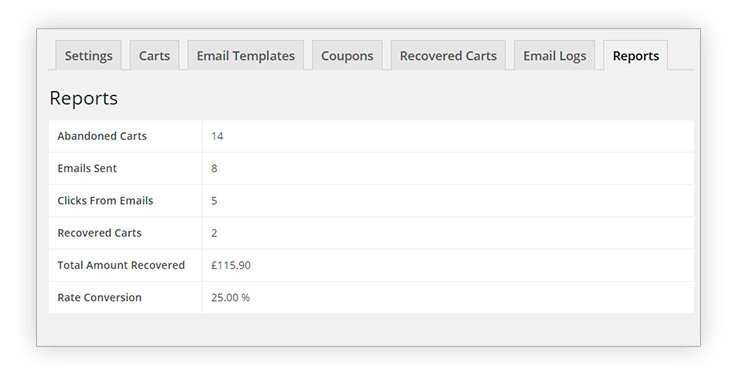 YITH WooCommerce Recovered Abandoned Cart will just do that: it will help you convert these abandoned carts in purchase orders.  Persuade the users of your site to complete the purchase they left suspended. Many are the reasons that drive users to abandon their carts: the absence of immediate capital, or maybe a sudden distraction that lets you forget what you were doing. Luckily, with some tailored solutions YITH WooCommerce Recovered Abandoned Cart can help you remind your customers what they left and encourage them to complete their purchase process. 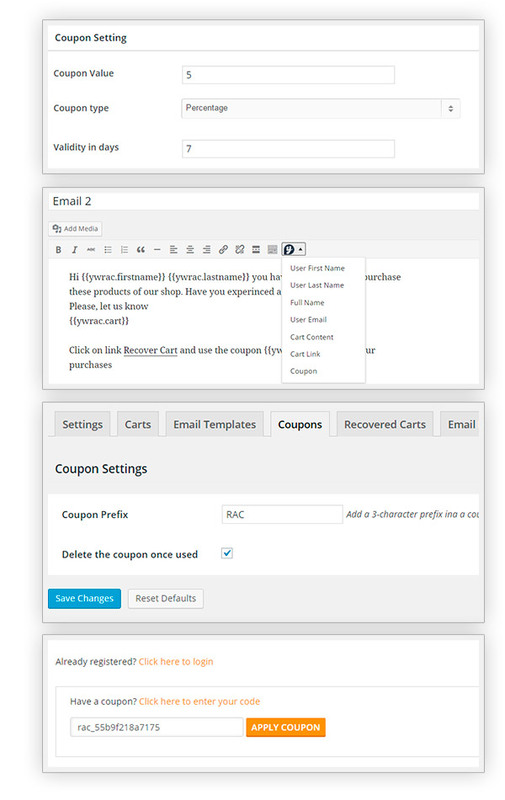 Firstly, creating a loyalizing system, and sending coupons or customized emails to make your user come back. 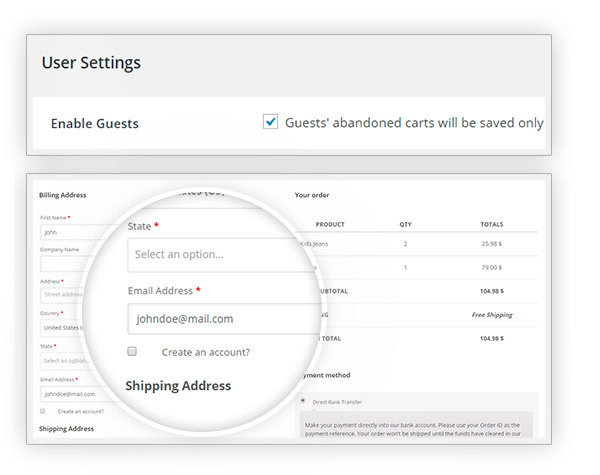 For those unregistered guests, if they write their email address during the purchase process, you will be free to contact them with a small reminder of what they still have in their cart. 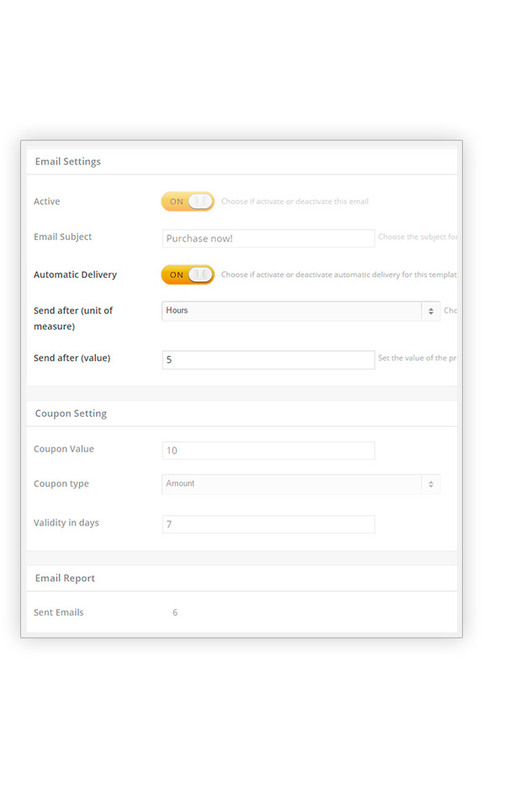 Moreover, if your e-commerce site is visited by many customers of different countries, you will also be able to set the sending of an automatic email in the related language. Set them a particular role, and your strategy will give benefits only to those special users. Contact passing guests that have added products to their carts and convert them in customers! 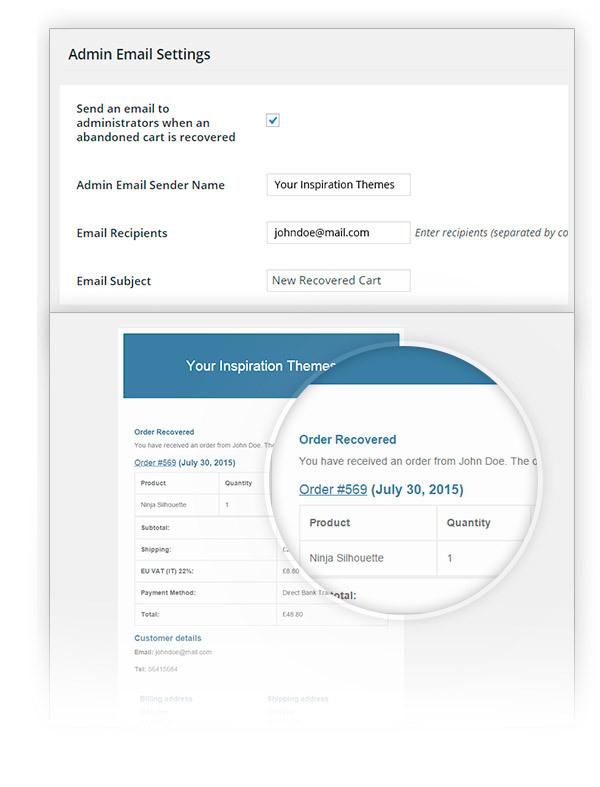 If an abandoned cart becomes a purchase, you will get a direct email notification. 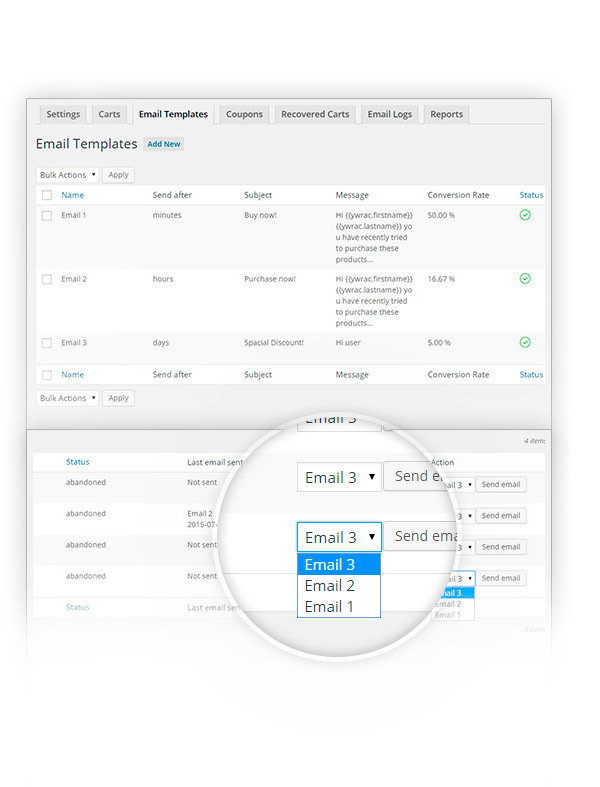 Change the content and select manullay the email you want to send. Create the winning weapon to persuade your users to purchase immediately. Remind them what they left unfinished, and persuade them to complete the purchase. 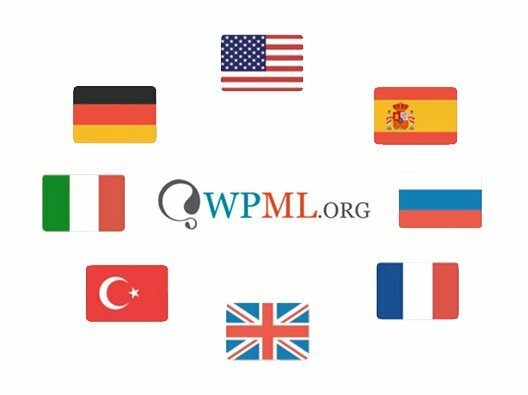 The powerful multi-language system lets you recognize the domain of the users and, once preset, lets you send an email in their languages. The date in which you sent them and the ID of the abandoned carts. Thanks to reports about the abandoned carts, those recovered, the percentage of cart conversion and a lot more. Wonderful pluginWonderful plugin, with just the options I needed. I did my research and the fact that support supposed to be good at yith, pushed me over the edge to buy it from you. Could not find a lot of differences between this plugin and the woo original, but indeed, with regards to the support I am 100% satisfied. Thank you. Potentially it's perfect but still could be improvedI like this plugin a lot and I bought it because of the email catching feature for guests. I understand you cannot catch the email if the customer does not enter it, but you could improve by making the email be cought immediately when they visit the page, that would be a dealbreaker! 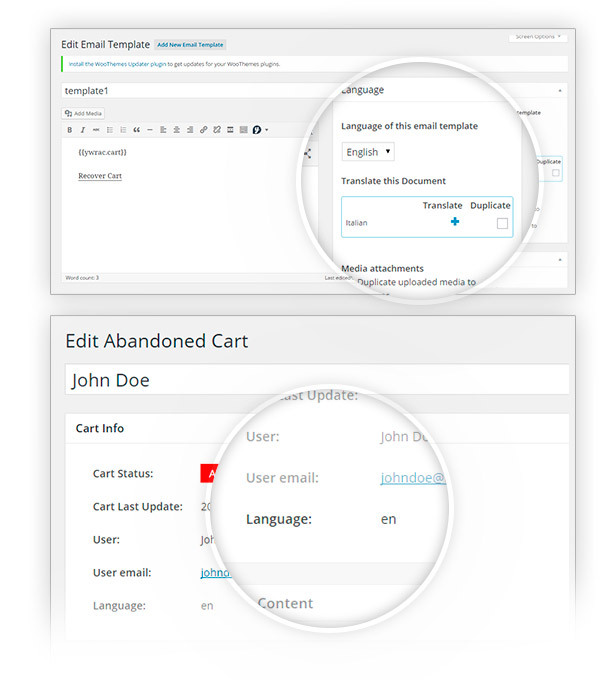 Very happy with my purchase!Amazing way to up my sales without bugging my customers, and because of the WPML compatibility, I can recover the domain on which carts are abandoned to customize emails with the related languages set in my shop! Hi, Mario! You can decide when sending the coupon to your users. 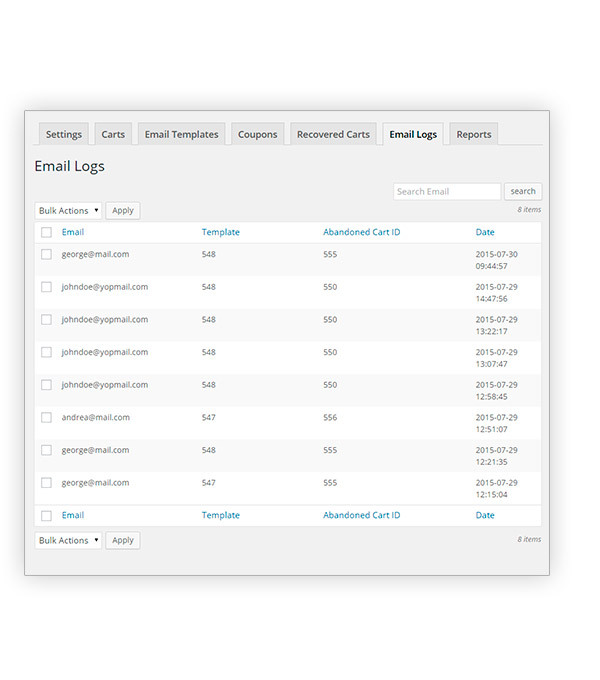 Most of our clients configure two or three emails including the coupon only in the last one. You can also choose to not send any coupon. Anyway, at the moment there's no feature to set a coupon per customer, I am sorry. I'm afraid there is no integration with the premium version, but you could try with the free version to understand if it works. Hi, Matthew! 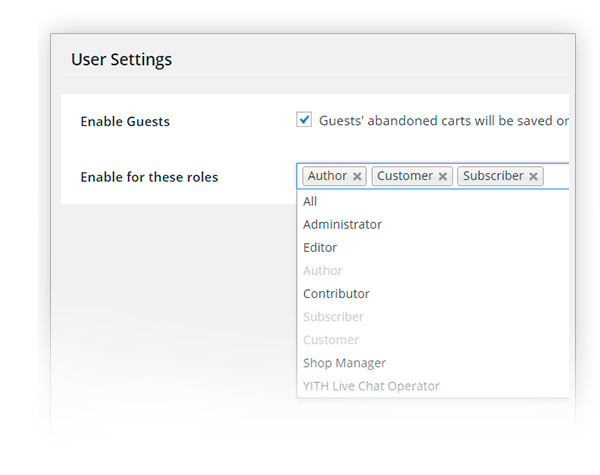 Unfortunately, it is not possible since the plugin saves the whole cart and doesn't allow excluding products.